Please note this post contains affiliate links. By clicking the link to a product I recommend, I receive a small fee in return. These tiny percentages are used to maintain this website and helps provide free resources and giveaways for you! Before any unit can have a successful start, this Applicious Teacher makes sure she has all the proper supplies. I’ve found a few class sets of items to be life savers for this unit. A must have resource for a successful measurement unit is a class set of rulers. Rulers are not on the standard supply list, so I’ve slowly acquired mine over the past 9 years of teaching. These are from Amazon (affiliate link) and are fairly inexpensive for 36. I keep them in a bucket and when we’re ready, we grab them out. For this unit, there’s a lot of walking around the classroom, so a clipboard is essential! Click the picture or here to see these on Amazon. These even have a handy-dandy pencil keeper at the top! Now that the supplies are ready to go, it’s time to “set the stage” with the kiddos. Like I said, I like to do almost exclusive hands on activities for this unit, so we have to set some ground rules before ANYONE even touches a ruler! 1. Rulers are for measuring, not sword play or spinning. 3. You get the ruler you get and you don’t throw a fit! After explaining the rules (and demonstrating what each of them looks like!) of our new measurement tool, I pass out the rulers and we start exploring. First, we look at the size of the ruler and note the numbers on both sides. Then, we discuss how to actually measure using a ruler. I make sure to point out that they should start measuring where the tick marks are on the ruler, not just the beginning of the plastic. I also show my students how to “estimate” the size of an object by how close it is to the number on the ruler. The next day, we were ready to start using the rulers around the classroom, so I set up measurement stations using cards from this unit with random objects from around the room. As students moved from station to station, they measured their object and recorded their answers. Students were allowed to work in teams of two or three. My favorite was the classroom door. We hadn’t discussed how to measure objects that were bigger than our tool… so students were forced to problem solve! Only a few groups needed a *little* guidance from me… but this group figured out how to use their hand as a place holder! #Genius! At the end of this activity, we shared our findings as a whole group. I made note of any student that had measurements that were WAY off and pulled them during small group. Under each tab, students had to write or draw objects that fit into each general measurement. Let’s just say I was picking up tons of paper clips and shoving them in students faces when they were making their estimates! We completed similar sheets when we explored feet and yards, and centimeters and meters. This was a perfect and fun way to practice word problems without sitting at our desks completing a worksheet for the lesson. Later, I assessed students using this sheet. This was an easy grade! YES! I wanted to make sure I was supporting our measurement skills during our math centers as well, so I had the kiddos work on these monster measurement task cards throughout the week. I even had one student write a few word problems about the monsters! Be still my teacher heart! At the end of our measurement unit, I knew we had to make a craft, so I pulled out all my paper scraps and let my kids go to town on creating their own monsters! The kiddos went to town! They created a wide varitey of shapes, sizes, and colors! Then, they used a ruler to measure the different parts of their monster. It was fun and engaging end to our measurement unit. They looked great hanging in the hallway too! To display them, I simply cut out some large black butcher paper, then, as students finished their monster, I stuck them up there with tape. Grab these Measurement Activities for Your Classroom! 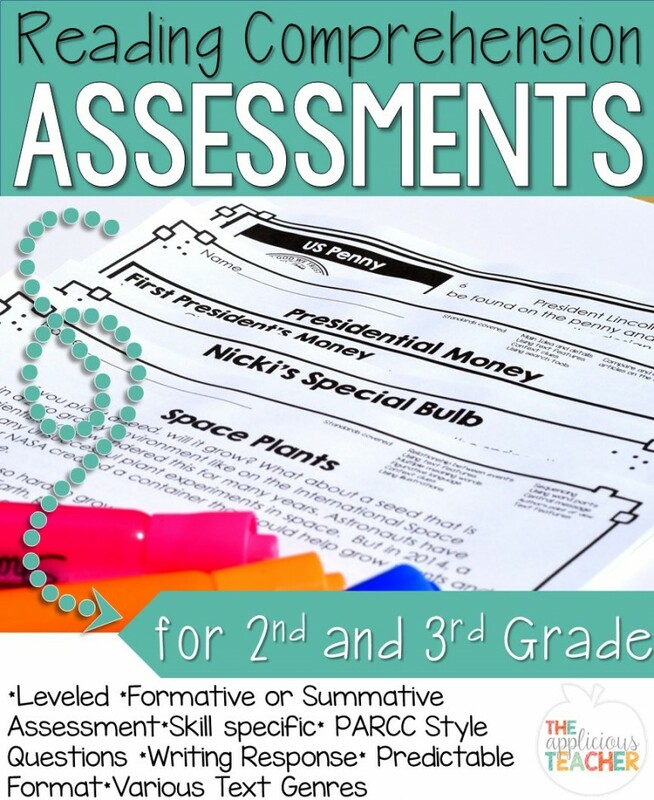 Want to grab these activities and tons more printables and hands on measurement fun for your students? Check out this unit on TpT or click the picture below!